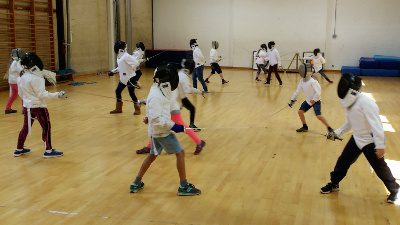 Youth fencing is usually divided up by age bands. The age of a fencer is normally taken as at Jan 1st in the current year, so if a fencer has not reached their 14th birthday on Jan 1st they are considered Under 14 for the whole of that year. Some schools’ competitions use a similar system, but based on September 1st, in keeping with the school calendar. Children under the age of 8 are not normally allowed to compete. of competitions also use other age-groups, like under 11 or under 13, but these don’t have specific names. Fencers over 40 may qualify for veterans competitions. There is no upper age limit.